For the second year running, at ASPRS’s UAS/UAV Mapping Forum 2015 in Reno (http://uasreno.org), Velodyne LiDAR teamed up with the industry’s leading players to put new implementations on the map. The company previewed a concept – remote sensing using multi-beam 3D LiDAR -- that figures to extend its market leadership. And as if to underscore that leadership, Velodyne made good on a prediction from the 2014 show. Unveiled last year as a “product of the future,” Velodyne’s VLP-16 LiDAR Puck -- a 16-channel, real-time 3D LiDAR sensor -- has literally taken off. At UAS/UAV Mapping Forum on Sept. 29-30, the company announced that more than 1,000 VLP-16 sensors have been sold since the product’s formal unveiling at last fall’s event. A substantial portion of those sales have involved UAV applications, thanks to the product’s affordable pricing, extremely light weight, compact size and multiple-beam support. 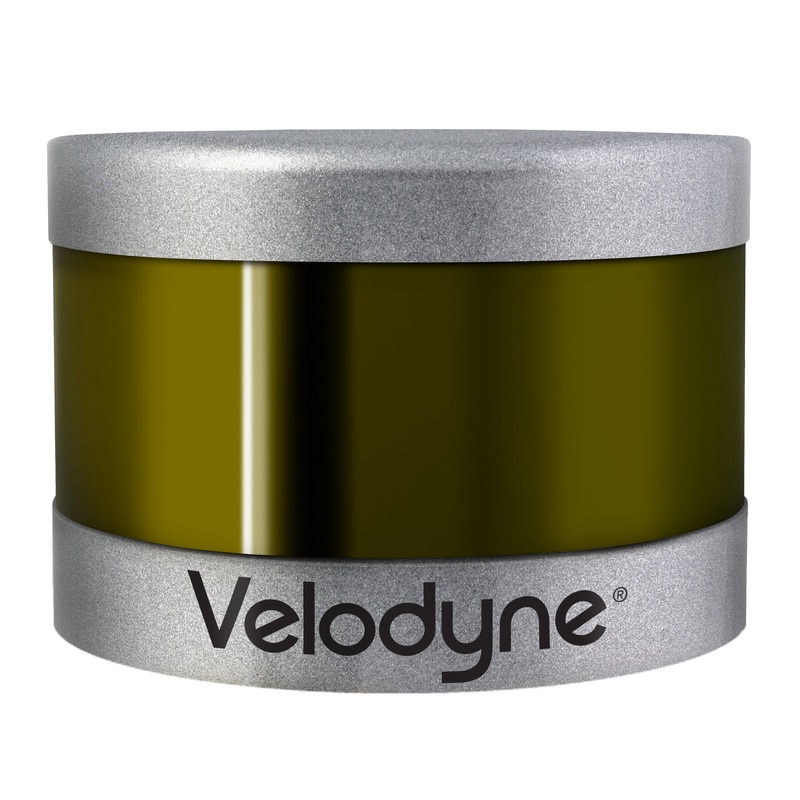 As predicted, the Velodyne LiDAR Puck has dramatically expanded the use of 3D LiDAR (Light Detection and Ranging) technology sensors in robotics, unmanned aerial vehicles and factory automation applications. The VLP-16 is substantially smaller than anything else on the market and has established a new standard for affordability. The two days of presentations, panel discussions, exhibits and real-time UAV flights drew 500+ attendees and 50 exhibitors, from UAV manufacturers and flight controllers, to payload options specialists, processing software professionals and academics. The event was again organized by the American Society for Photogrammetry and Remote Sensing (ASPRS), the Imaging and Geospatial Information Society -- a scientific non-profit association with a mission to advance knowledge and improve understanding of mapping sciences, to promote the responsible applications of photogrammetry, remote sensing, geographic information systems (GIS), and supporting technologies. Velodyne LiDAR highlighted a range of applications ranging from forest management, to oil & gas pipe monitoring to military reconnaissance, with integrations from companies like Phoenix Aerial Systems, using Velodyne’s 32-channel HDL-32E and the VLP-16 on DJI-1000; Aerovironment, with the HDL-32E on fixed-wing PUMA; and TRGS, with the HDL-32E and VLP-16 on Octocopter. Juchmann additionally showed 3D point clouds of vegetation and power lines using 3D multi-beam LiDAR -- applications that photogammetry simply cannot handle. 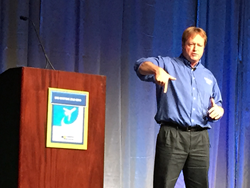 With size, weight and price top-of-mind for attendees attuned to matters of UAV payloads, Juchmann addressed all three in a single pass during a panel discussion of sensor experts, pulling an HDL-32E sensor out of his jacket and the LIDAR Puck out of his pants pocket.